6 Way Boyfriend Denim Jeans to Get A Swanky Look! You will be amazed to hear that denim jeans were first designed as work jeans. But over time it has become an absolute fashion essential. Every millennial has at least a few pairs of denim jeans in their wardrobe. 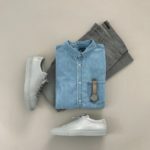 Denim jeans come in a variety of color and style. 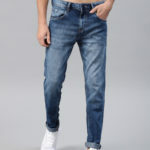 They are suitable for men, women, … Read more6 Way Boyfriend Denim Jeans to Get A Swanky Look! Sneakers now become fashionable trends in the women and men, In the wardrobe, there is surely get jeans. 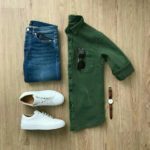 If you can see past few years only a few styles available in the footwear market Formal and Sports, As the days passed in the footwears categories, many styles of fashion added like loafers, casual sports and now sneakers. 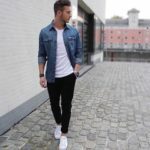 … Read more10 Coolest White Sneakers Style You Can Wear On Denim Jeans.